An international effort to improve the nutrition, productivity and the climate adaptability of some Africa’s most important food crop. In 2011, The New Partnership for Africa's Development (NEPAD) committed to lead a consortium of companies, scientific and government bodies, and civil organizations to sequence, assemble, annotate, and make over two dozen genomes of 100 traditional African food crops and tree species neglected by science publicly available. The African Orphan Crops Consortium (AOCC) was launched as an international effort to improve the nutrition, productivity and climate adaptability of some of the Africa’s important food crops, helping to decrease the malnutrition and stunting rife among the continent’s rural children. In addition, the AOCC established the African Plant Breeding Academy in Ghana. The academy will train 250 African scientists and 500 African technicians in plant breeding techniques to improve these newly sequenced crops. The resulting genetic information will be placed into a public domain over a web site accessible to anyone who registers. The website will be managed by the intellectual property organization PIPRA. Guided by the belief that every life has equal value, the Bill & Melinda Gates Foundation works to help all people lead healthy, productive lives. In developing countries, it focuses on improving people's health and giving them the chance to lift themselves out of hunger and extreme poverty. In the United States, it seeks to ensure that all people—especially those with the fewest resources—have access to the opportunities they need to succeed in school and life. Based in Seattle, Washington, the foundation is led by CEO Dr. Susan Desmond-Hellmann and Co-chair William H. Gates Sr., under the direction of Bill and Melinda Gates and Warren Buffett. They work with governments and private partners to foster greater public awareness of urgent global issues. Every year, millions of people find ways to transition out of poverty—by adopting new farming technologies, investing in new business opportunities, or finding new jobs. B&MGF believes women and girls have a unique power to reshape societies. One of their focuses is also on global health goals: they provide effective vaccines, drugs, and diagnostics and to develop innovative approaches to deliver health services to those who need it most. The NEPAD Business Foundation (NBF) is one of Africa's leading membership based foundations which promotes sustainable economic and social development on the continent. The NBF is a non-profit company that mobilises private sector support for the implementation of New Partnership for Africa's Development (NEPAD) goals. The NBF views business in Africa as a fundamental building block for positioning the continent as a key role player for international trade and investment. As a neutral and trusted partner, the NBF provides a networking platform for its members to discuss, debate, share ideas and collaborate with the public sector and other stakeholders in investment, project or commercial activities. The NBF currently has offices in South Africa and Mozambique with a much wider geographical footprint in the rest of Africa in terms of strategic stakeholders and managed projects. The NBF plans to expand its physical representation to a further five countries in order to better serve stakeholders. To see Africa as a global economic powerhouse that utilises its resources to achieve sustainable livelihoods for its people. The NBF believes that by creating commercial and investment value within countries, Africans can benefit by learning, working and living in their space. Africa boasts seven of the ten fastest growing economies in the world but when population size and per capita gross domestic product (GDP) are considered, it seems that the continent is a long way from reaching economic levels that support its people in terms of health, education and employment. To promote sustainable economic and social development in Africa through the private sector in key focus areas. The NBF's key focus areas are aligned to those of the NEPAD Planning and Coordinating Agency (NEPAD Agency). The key focus areas are regarded as priority areas of development across the continent and are supported by the African Union Commission. Ambassador Program: affords unique opportunities to Member companies to meet with African commercial leaders and top government officials. 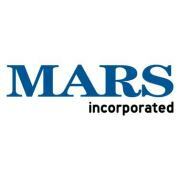 Mars, Incorporated is an American global manufacturer of confectionery, pet food, and other food products. The company is headquartered in McLean, Virginia, USA. The company is entirely owned by the Mars family. Mars operates in six business segments in the U.S.: Chocolate, Petcare, Food, Drinks, and Symbioscience. As one of the leading food manufacturers in the world, Mars has a significant international presence in more than 73 countries. Approximately 70,000 Associates worldwide are putting our Mars Principles in action every day to make a difference for people and the planet through our performance. Mars Petcare - Headquartered in Brussels, Belgium, Mars Petcare is one of the world’s leading pet care providers and employs more than 34,000 Associates across 50 countries. Mars Chocolate - Headquartered in Mount Olive, New Jersey, U.S., Mars Chocolate is one of the world’s leading chocolate manufacturers and employs more than 16,000 Associates across 19 countries. Wrigley - Headquartered in Chicago, Illinois, U.S., Wrigley is one of the world’s leading gum and confections manufacturers dedicated to bringing simple pleasures to consumers. Wrigley employs more than 17,000 Associates across more than 40 countries. Mars Food - Headquartered in Brussels, Belgium, Mars Food is dedicated to providing leading food brands tailored to local tastes around the globe. Mars Food employs more than 2,000 Associates across 15 countries. Mars Drinks - With U.S. headquarters in West Chester, Pennsylvania, and U.K. headquarters in Basingstoke, Mars Drinks employs more than 650 Associates across eight countries. Mars Symbioscience - Mars Symbioscience (MSS) was established in 2005 as a technology-based health and life sciences business focused on delivering evidence-based product development. Founded in 1802, DuPont’s company profile is that of a global research- and technology-based science company that is dedicated to creating sustainable solutions to help make a better, safer, and healthier life for people everywhere. We currently operate in more than 90 countries, with more than 150 research and development centers and over 70,000 employees worldwide. DuPont Science is the foundation for innovation. Science & Technology connects market insight to a broad range of technologies to create new and innovative opportunities for our businesses and customers. It is the foundation for the market-driven innovation we deliver to our customers. With the world’s population projected to reach 9 billion by the year 2050, providing for the food, energy and protection needs of people everywhere presents unprecedented challenges. Over 10,000 DuPont scientists and engineers collaborate with customers, governments, and others to develop sustainable solutions to address those challenges. In 2012, DuPont introduced 2,047 new products and was granted 935 US patents aimed at meeting the needs of people around the world. Looking ahead, the value DuPont science unlocks for our company and for our customers will fund the pursuit of new discoveries that can help improve the lives of people everywhere. Sustainability is at the core of what we do - from reducing our operational footprint and creating market-facing sustainable solutions, to addressing the global challenges of the future. As the global population continues to grow, we face unprecedented challenges in sustainably addressing some of the world's toughest problems. Feeding the world, decreasing our dependence on fossil fuels, and protecting people and the environment are all critical issues that require long-term thinking and science-driven innovation. However, we recognize that we can't do this alone. Around the world, we are working with academia, governments, other companies and non-governmental organizations to deliver scientific innovations that lead to long-term, viable, sustainable solutions along our value chains. The company consists of 13 businesses which are aggregated into eight reportable segments based on similar economic characteristics, the nature of the products and production processes, end-use markets, channels of distribution and regulatory environment. The company's reportable segments are Agriculture, Electronics & Communications, Industrial Biosciences, Nutrition & Health, Performance Chemicals, Performance Materials, Safety & Protection and Pharmaceuticals. The company includes certain embryonic businesses not included in the reportable segments, such as pre-commercial programs, and nonaligned businesses in Other. 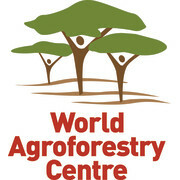 The World Agroforestry Centre (ICRAF) is a centre of scientific excellence that harnesses the benefits of trees for people and the environment. Leveraging the world’s largest repository of agroforestry science and information, they develop knowledge practices, from farmers’ fields to the global sphere, to ensure food security and environmental sustainability. ICRAF is the only institution that does globally significant agroforestry research in and for all of the developing tropics. Knowledge produced by ICRAF enables governments, development agencies and farmers to utilize the power of trees to make farming and livelihoods more environmentally, socially and economically sustainable at multiple scales. They are guided by the broad development challenges pursued by CGIAR, a global research partnership for a food-secure future, which include poverty reduction, increasing food and nutritional security, and improved natural resource systems and environmental services. ICRAF's work also addresses many of the issues being tackled by the Sustainable Development Goals (SDGs), specifically those that aim to eradicate hunger, reduce poverty, provide affordable and clean energy, protect life on land, and combat climate change. Pioneer is the world's leading developer and supplier of advanced plant genetics to farmers worldwide. We seek to increase customer productivity, profitability and develop sustainable agricultural systems for people everywhere. 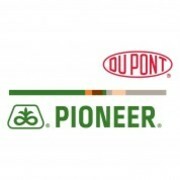 Innovative and customer-focused, Pioneer is a leader in the agriculture industry and upholds the highest standards. More than 5,400 employees work through a network of over 90 offices in over 40 countries around the world. On‑the‑ground conservation projects are active in more than 100 countries. • promoting more efficient use of resources and energy and the maximum reduction of pollution. 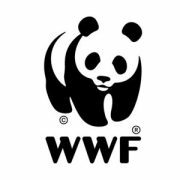 From our start in 1961, WWF has worked toward the protection of endangered species. Our mission is to use the best conservation science available and work with people to find solutions to save the marvelous array of life on our planet. Our conservation efforts are directed towards flagship species, iconic animals that provide a focus for raising awareness and stimulating action and funding for broader conservation efforts in our priority places; and footprint-impacted species whose populations are primarily threatened because of unsustainable hunting, logging or fishing. The diversity of life isn't evenly distributed around the globe. It is concentrated in certain areas, which makes specific places a priority for conservation. WWF works to protect 19 places based on the wealth and variety of life they support, the destructive challenges they face, and our ability to positively impact them. These spectacular places include the world's largest and most intact tropical rain forests, diverse freshwater systems, varied coral reefs, and productive fishing grounds. All of these places are also home to many endangered species. We are engaging with major companies and their supply chains to change the way global commodities are produced, processed, consumed, and financed worldwide. Climate change poses a fundamental threat to the vulnerable places, species and people WWF seeks to protect. To adequately address this crisis we must urgently reduce carbon pollution and prepare for the consequences of global warming that the world is already experiencing. WWF’s Conservation Science Program (CSP) draws on powerful insights from biology, hydrology, oceanography and the social sciences to create new and effective approaches for protecting biodiversity. The results of CSP’s endeavors inform and direct all WWF programs. The innovative ideas generated and the knowledge acquired – communicated through scientific articles, books, the internet, computer-based tools and the Kathryn Fuller Seminar Series - contribute to strengthening the scientific integrity of conservation efforts worldwide. Many of CSP’s innovations and tools have been adopted by other conservation organizations, government agencies and academic researchers. The African Academy of Sciences (AAS) is an Africa-wide scientific organisation, with a view to honouring internationally renowned African scientists and also to encourage the development of the research and technology base throughout Africa. The membership has since then been extended to scientists from other continents. The AAS was founded in 1985 in Trieste, Italy with 33 members as the founding fellows. The membership currently stands at 233, covering 36 African countries and also includes 8 Foreign Fellows from Denmark, India, USA and Italy. It has a tripartite mandate of pursuing excellence by recognising scholars and achievers; providing advisory and think tank functions for shaping the continent’s strategies and policies; and implementing key science, technology and innovation programmes. The AAS utilises its membership pool which consists of a community of scientists to engage with governments and policy makers on the continent. The membership comprises individuals who have reached the highest level of excellence in their field of expertise and have made contributions to the advancement of the field on the continent. To date AAS has recognised 330 AAS Fellows and Associate and Honorary Fellows who are proven science, technology and innovation leaders, policy advisors and thinkers most of whom live and work throughout the continent. Relevant specialist committees assess nominees and those that are recommended are subsequently voted in by AAS Fellows and finally approved by the Governing Council. The AAS is the only continental academy in Africa, enjoying the support and recognition of NEPAD and the African Union as well as several governments and major international partners. These bodies also recognise the think-tank functions of the academy and its increasing role in setting the research agenda for the future development of the continent. The AAS is implementing programmes in partnership with pan African and international organisations. In 2015, the AAS launched the Alliance for Accelerating Excellence in Science in Africa, a platform created in collaboration with the New Partnership for Africa’s (NEPAD) Agency. AESA is an agenda setting and funding platform to support the development of Africa’s research leadership and promote scientific excellence and innovation to overcome some of Africa’s developmental challenges. BGI was founded in 1999 with the vision of using genomics to benefit mankind and has since become the largest genomic organization in the world. With a focus on research and applications in the healthcare, agriculture, conservation, and environmental fields, BGI has a proven track record of innovative, high profile research, which has generated over 2,137 publications, many in top-tier journals such as Nature and Science. The company also contributes to scientific communication by publishing the international research journal GigaScience. BGI’s distinguished achievements have made a significant contribution to the development of genomics throughout the world. 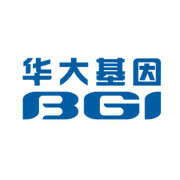 BGI’s goal is to make state-of-the-art genomics highly accessible to the global research community and clinical markets by integrating the industry’s broadest array of leading technologies, including BGI's own BGISEQ sequencing platform, economies of scale, and expert bioinformatics resources. BGI also offers a wide portfolio of transformative genetic testing products across major diseases, enabling medical providers and patients worldwide to realize the promise of genomics-based diagnostics and personalized healthcare. BGI’s services and solutions are available in more than 60 countries and regions around the world. Trans-omics for a better life. A combination of its high-throughput, cost-effective genomics platform, its large sample collection and storage capability, in-depth bioinformatics analysis, a core commitment to education and media liaison, a team of talents to support its scientific research program, has made BGI a unique entity dedicated to ensuring that omics science and technology can be made to work for the benefit of everyone.